Doctor Muszyński graduated from the Jagiellonian University in Krakow. 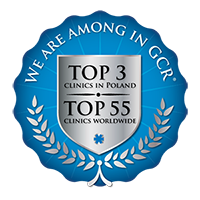 Postgraduate training at the Clinical Hospital in Krakow. In 1994 he became a first-degree specialist in anaesthesiology, 3 years later became a second-degree specialist in anaesthesiology and intensive-care medicine. He completed his postgraduate studies at the FEEA (2001). For 8 years he worked as an assistant at Collegium Medicum, Jagiellonian University in Krakow. He has vast experience of over 20 years of work in anaesthesiology and intensive care for dental surgery and preventive dentistry. Doctor Muszyński has worked in several hospitals in Krakow (Państwowy Szpital Kliniczny, Szpital Uniwersytecki) and the University Dental Clinic. 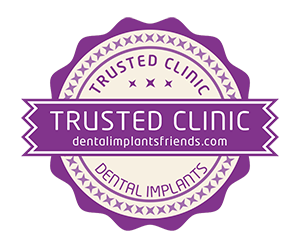 For over 17 years he has cooperated with several dental offices and clinics. He participates in implantology training courses organised by the Central European Implant Academy. He is an author and co-author of over 70 scientific articles and papers which were published by Polish and foreign specialist journals dealing with anaesthesiology, intensive-care medicine, acute and chronic pain management. Also, he is an author and co-author of many congress reports, presented both in this country and abroad, articles on peri-operative treatment in maxillofacial surgery and ENT surgery, on post-operative pain management and clinical toxicology. Tomasz Muszyński is a member of Polish Society of Anaesthesiology and Intensive Therapy (Polskie Towarzystwo Anestezjologii i Intensywnej Terapii). Since 1994 he has been a lecturer at the Medical Faculty Jagiellonian University in Krakow. He trains medics in anaesthesiology, first aid and intensive-care medicine. He has specialised in sedation and sedoanalgesia in dental surgery and in preventive dentistry.